One of the major forces driving the appeal of K-pop around the globe is the music, but it seems to receive the least attention. When commentators do turn their attention to K-pop, they recognize that it draws from a variety of musical genres and styles. But in making such generalizations, they often overlook the crucial influence of black popular music on K-pop. Journalists and scholars tend to generalize the musical influences on K-pop. John Seabrook points to musical elements of K-pop without referring to any particular genre: “The music features lush soundscapes made with the latest synths and urban beats. The hooks are often sung in English, and sometimes suggest a dance move.” Others describe K-pop as a repository for the world’s musical talent. Jungbong Choi and Roald Maliangkay note the many hands were involved in the Girls’ Generation’s song, “I Got A Boy,” a track “‘crafted’ by composers from England, Norway, Sweden, and Korea” (4). This shows the global impact of transnational music production, but doesn’t tell us much about the type of music produced. Other scholars describe K-pop as generic “dance music.” In their analysis of music chart data, Solee I. Shin and Lanu Kim coded top K-pop songs “dichotomously into . . . ‘hip-hop and dance’ (most representative of K-pop) and ‘others. '” In doing so, they do not explain the criteria for characterizing a song as hip-hop or dance. As a result, K-pop is generally perceived to be a mixture of a variety of Western musical styles, with a heavy nod to dance music. However, black popular music stands out as a significant influence on K-pop. In a journal article, John Lie quotes Lee Soo Man, founder of SM Entertainment, one of the Big Three Korean entertainment agencies: “South Korea has best consumed black music in Asia. Just as J-pop was built on rock, we made K-pop based on black music” (357). What does he mean by “black music”? It is often used to refer to a range of music genres developed mostly, but not exclusively, by black people, initially, but not solely, for black audiences. Academics and critics alike have tackled the topic of black music through several publications, including Amiri Baraka‘s influential work Black Music, Mark Anthony Neal‘s What the Music Said: Black Popular Music and Black Public Culture, James Haskins‘ Black Music in America: a History Through Its People and Mellonee V. Burnim and Portia K. Maultsby‘s African American Music: An Introduction. Black music is a thing. Similarly, the rhythm structure that still undergirds much of pop music can be traced back to musical innovations at Motown. Jon Fitzgerald argues that Motown songwriters introduced “a new style of mainstream popular song–thoroughly based in gospel and conceiving of song structure in an innovative way, where the hidden architecture supporting the melodic/lyric hook is now primarily rhythmic” (8). The same seems to be happening with the characterization of K-pop as general dance music If we look at Osman Khan‘s interactive infographic that visualizes the evolution of Western dance music, you see just how many black musical genres inform the dance music that many use to describe K-pop. It’s only until the 1960s that dance music emerges from the United States and Caribbean, beyond black musical genres like disco, funk, old R&B, jazz, blues and soul. In the mid-1980s, we see the emergence of house from Chicago and techno from Detroit, before it goes on to influence Germany’s trance and breakbeat from the UK. To argue that K-pop is greatly influenced by black popular music is not to say that K-pop is merely imitative of black popular music. While European producers like Pelle Lidell may be heavily involved in the process of producing K-pop, ultimately, K-pop is produced by Koreans who leave their mark musically. Many fans of K-pop say they like it because the songs are catchy, and Gil-Sung Park notes that Korean producers are responsible for that: “SM acquires samples of universal musical content from Europe and the United States and then modifies them into a unique SM composition that is not yet globally universal, but has the potential to become the next global norm” (24). At the same time, K-pop producers have demonstrated that they are clearly students of black popular music. Producers like Yoo Young Jin and Jin Young Park reflect their familiarity with black popular music in their own music. This is significant, because being able to authentically participate in the legacy of black popular music is not something that everyone can do or has done. Roberta Freund Schwartz recalls that critics of British R&B complained about the inability of British vocalists to capture the unique sound of black vocalists (140). Richard Ripani notes that because of the difficulty involved in emulating the uniqueness of R&B vocals, “it has remained difficult . . . for any person outside the African-American community to produce an acceptable black vocal style” (190). However, we see K-pop groups often feature singers who can sing R&B vocals, as well as Korean R&B solo vocalists. More discussion of the actual music of K-pop will allow us to understand the complex interplay between Korean and African American musical cultures. Choi, JungBong and Roald Maliangkay. “Introduction: Why Fandom Matters to the International Rise of K-pop.” K-pop: the International Rise of the Korean Music Industry. Ed. Jungbong Choi and Roald Maliangkay. New York: Routledge, 2015. 1-18. Fitzgerald, Jon. “Motown Crossover Hits 1963-1966 and the Creative Process.” Popular Music 14.1 (1995): 1-11. Park, Gil-Sung. “Manufacturing Creativity: Production, Performance and Dissemination of K-pop.” Korea Journal 53.4 (2013): 14-33. Ripani, Richard J. The New Blue Music: Changes in Rhythm & Blues, 1950-1999. Jackson: University of Mississippi Press, 2006). Rischar, Richard. “A Vision of Love: An Etiquette of Vocal Ornamentation in African-American Popular Ballads of the Early 1990s.” American Music 22.3 (2004): 407-443. Seabrook, John. “Factory Girls: Cultural Technology and the Making of K-pop.” The New YOrker. Web. 8 Oct 2012. Evernote. 10 Jun 2013. Shin, Solee I. and Lanu Kim. “Organizing K-pop: Emergence and Market Making of Large Korean Entertainment Houses, 1980-2010.” East Asia. DOI 10.1007/s12140-013-9200-0. “What is ‘black music’? How are race and identity conveyed in the music media?” Essentially Eclectic. N.d. Web. 24 Jul 2015. “Yoo Young Jin – Unconditional Kismet” YouTube. 19 Jun 2012. Web. 25 Jul 2015. “You’re The One – JYP [ LYRICS HD ].” YouTube. 20 Jun 2012. Web. 25 Jul 2015. Black Popular Music and K-pop by Crystal S. Anderson is licensed under a Creative Commons Attribution-NonCommercial 4.0 International License. 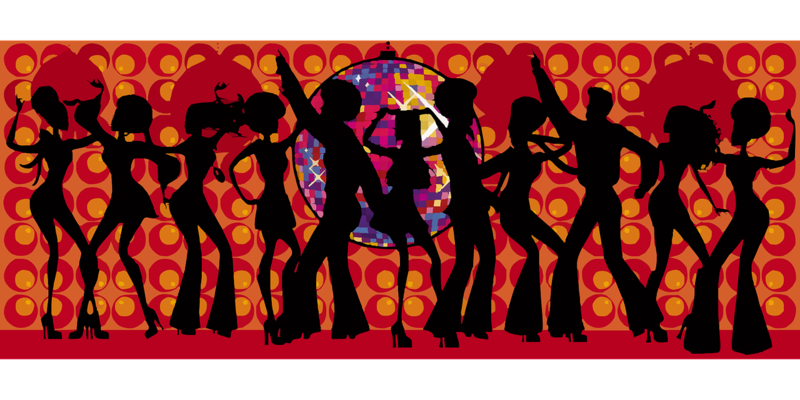 I got drawn into KPop because I’m a huge fan of MoTown & Funk – from the 70s (I’m not so much about disco cause I WORKED in one which will kill one’s love for about anything…) – KPop totally has that vibe.